Be Loud! ’16 is coming to Cat’s Cradle on Friday and Saturday. 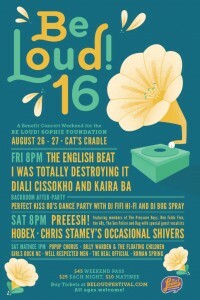 All proceeds from Be Loud! ’16 will benefit the Be Loud! Sophie Foundation. The English Beat will headline on Friday night. Local super group Preeesh! headlines Saturday night. Cat’s Cradle doors open at 7:30 PM on both nights with the shows starting at 8 PM. There will also be a matinee festival on Saturday afternoon starting at 1 PM. See the full lineup below. Lauren Lux of the Be Loud! 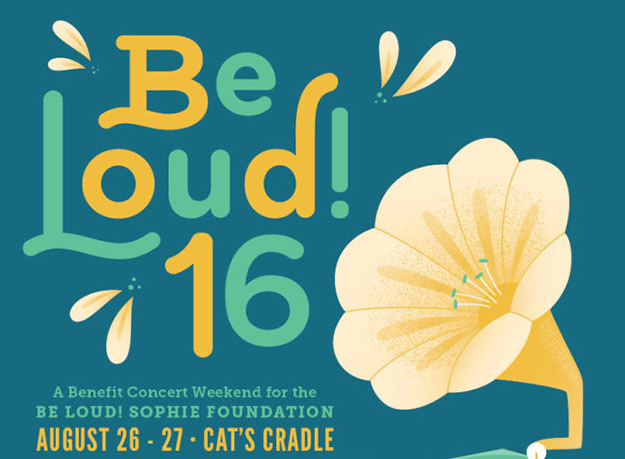 Sophie Foundation and musician Rob Ladd joined Ron Stutts Thursday morning to discuss the event and the foundation. Ladd put together the Preesh! super group which includes John Plymale of The Pressure Boys, Robert Sledge of Ben Folds Five, Brian Dennis from Dag and so many more. This weekend will include guest vocalists like Mac McCaughan of Superchunk, Daniel Chavis from The Veldt, Jeff Holshouser from Hank Sinatra, and Peter Holsapple from the dB’s. 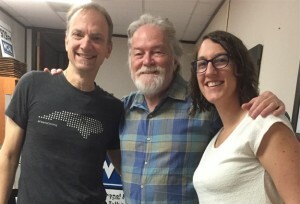 Listen to Ron Stutts’ interview with Lauren Lux and Rob Ladd. Listen to Aaron Keck’s interview with Be Loud! Sophie founder Niklaus Steiner and event co-organizer Steve Balcom. Get tickets and more information about the festival.